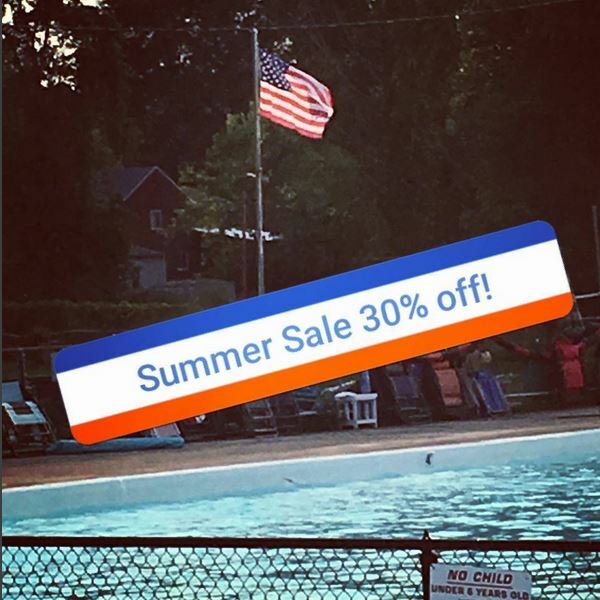 Summer Sale! 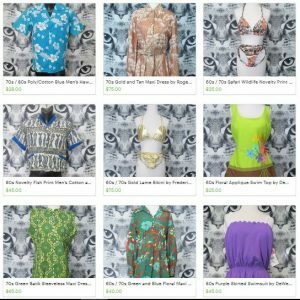 30% Off on Etsy and at E.N. Miller! 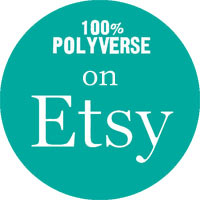 It’s our biggest sale EVER — this July, our Etsy shop AND our huge space at E.N. 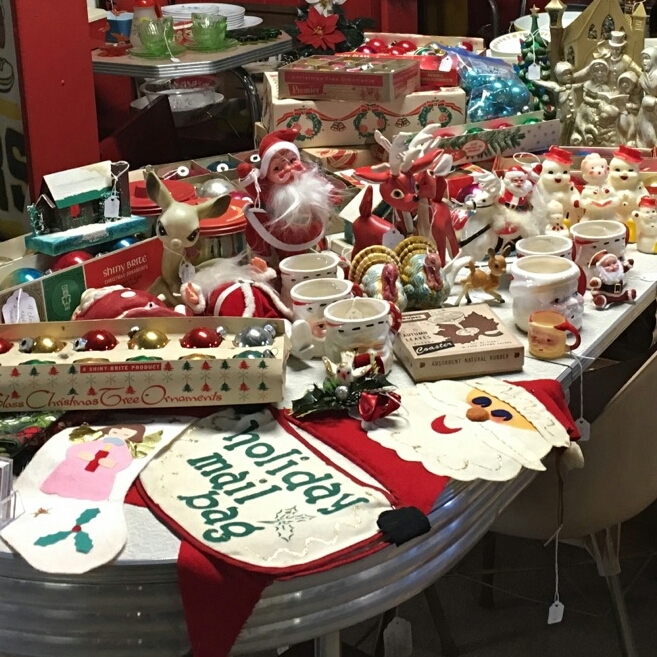 Miller Antique Mall are both 30% off almost everything! Feel the heat all month long — lots of clothes and accessories online at great prices, so check it out! Hope you’re enjoying your Summer! Beautiful Broyhill Brasilia Now on Display at E.N. Miller! We’ve got this beautiful set of mid-century Broyhill Brasilia all ready to go – we brought it down to E.N. 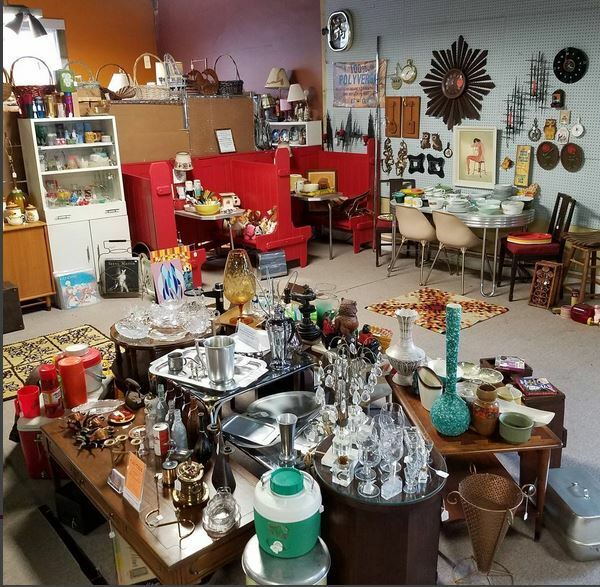 Miller Antique Mall in Verona, with the rest of our midcentury marvelousness! 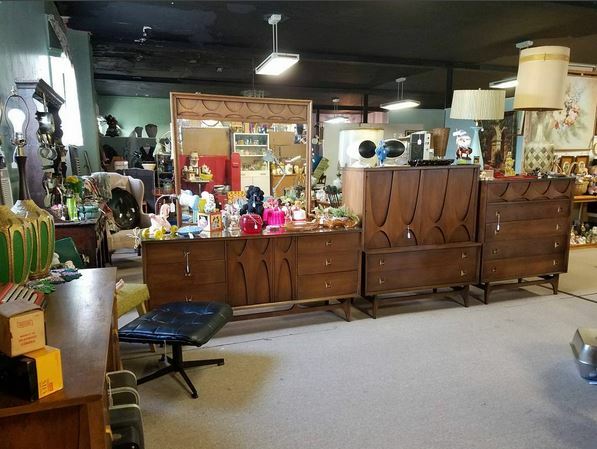 We’ve got the Landscape Mirror, Triple Dresser Base, the Chest, the Door Chest, two Twin Panel Beds, and the Commode / Nightstand – we even picked up a matching desk. What’s more, we marked them with new ‘Beat the Heat’ prices! These great pieces are all showcased in space E-11 on the third floor – and you can’t miss space E-11, because we’ve expanded and are now twice as large, with twice as much great stuff and more coming all the time. This fantastic bedroom set, straight from the original owners, won’t last long, so head over to Millers and check it out! And guess what – they deliver! No excuses – see you soon! 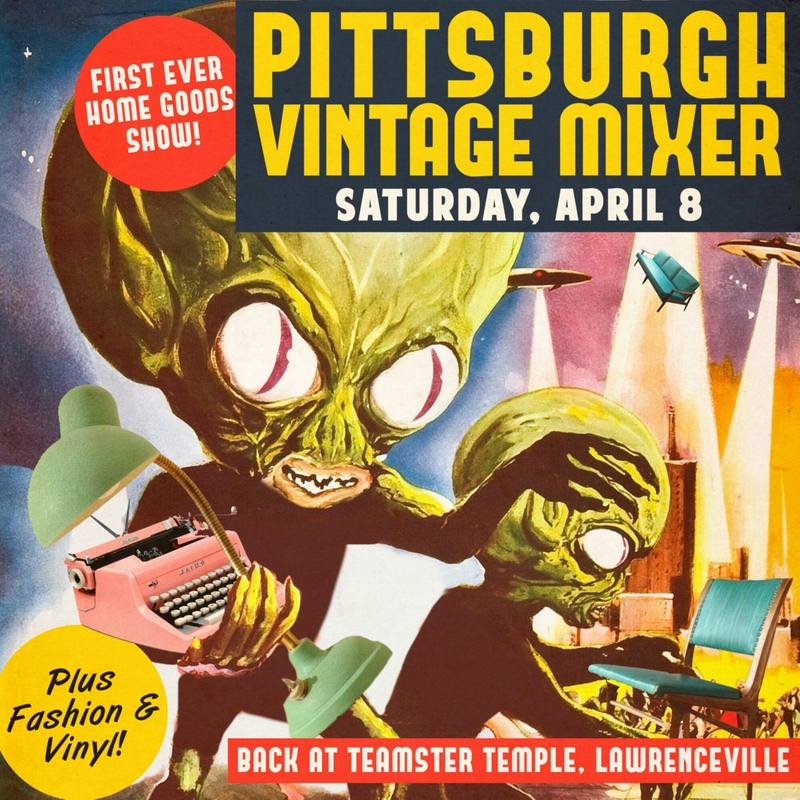 See You at the Pittsburgh Vintage Mixer Home Show! Save the date – Saturday, April 8! Click the pic for more information. 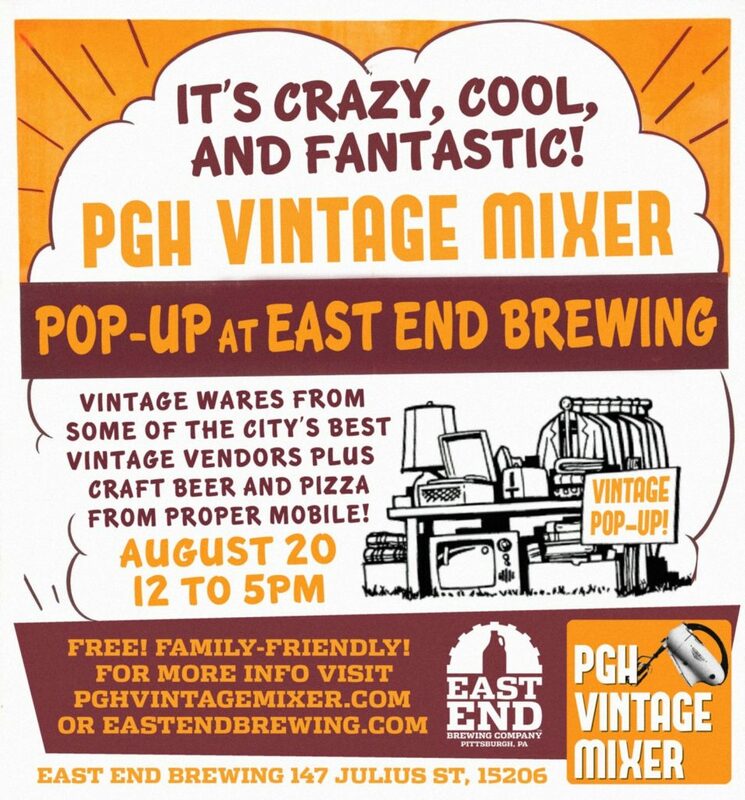 We’ll have all our best housewares, kitchen stuff, and more – see yinz there, Pittsburgh! We’ve got lots of listings coming up in our Etsy shop all spring, including some lovely hats and gloves! Keep checking back for more new items. Use coupon code VALENTINESALE in our Etsy shop for 14% off lingerie and pajamas, now through February 14th! 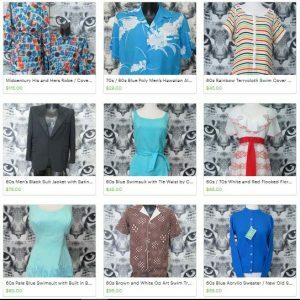 We’re getting 2017 off to a good start with new listings on our Etsy site – including some great swimwear and 1960s fashions for all genders! We’ve also brought more goodies to our super-stocked space at E.N. 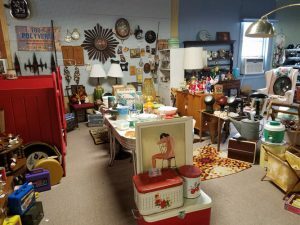 Miller Antique Mall in Verona, PA, which now features an incredible arc lamp, more retro kitchenware including Pyrex and Enamelware, and other mod and midcentury items. Stop by our Etsy shop and Miller’s to see what we’ve got in store for you! Pop-Up at the Ace Hotel, December 17! We’re back from vacation and happy to say we’ll be able to make one local event this year, a vintage and handmade holiday pop-up shop put on by our friend Anemoia Vintage! 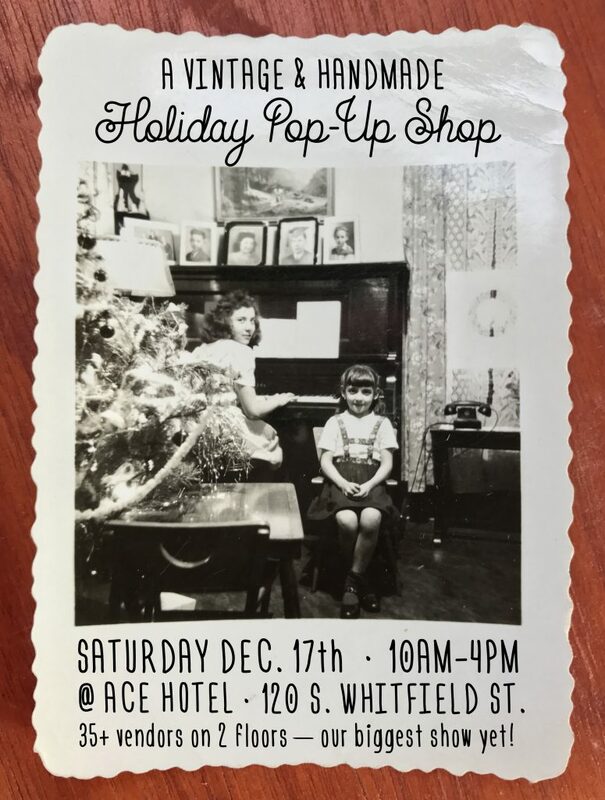 This event will be held Saturday, December 17 from 10-4 at the Ace Hotel – we’ll have all that’s left of our kitschmas goodies for your last-minute needs! See you there! We’re happy to announce we’ve moved to an even bigger and better space at E.N. 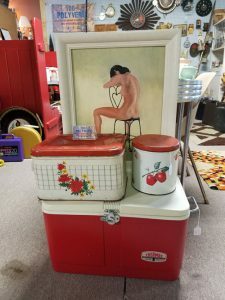 Miller Antique Mall over here in Verona, PA – come see what we’ve got in stock! We’ve been talking a brief break from heavy picking to get our current stock organized and showcased both at Miller’s and online – so look forward to new items popping up on the regular! 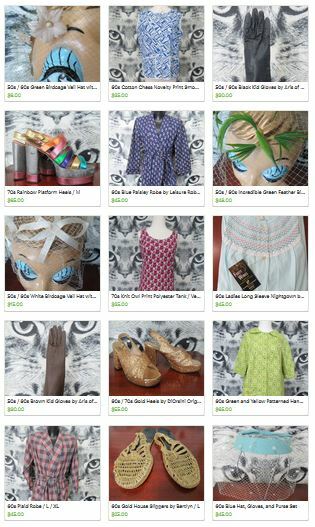 We’re ready for cooler temps, fall fashions, and, as always, fabulous finds – and of course, don’t forget that Kitschmas is on the way!